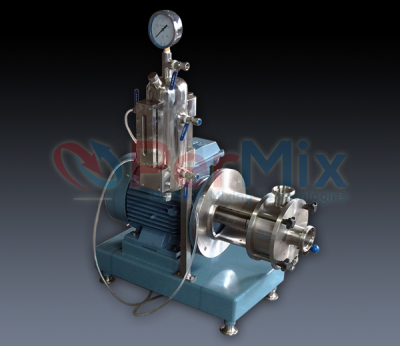 An inline mixer is a high shear mixer for inline or continuous operation. In the Inline process, the mixer is installed outside the tank. This makes it easy to be built into an existing production line with normal inlet/outlet connections. 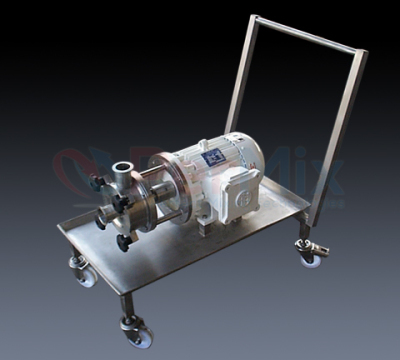 In the case to deal with liquid with a low viscosity, the inline mixer can pump the liquid without an additional pump. That is why it is also called High Shear Pump. The mixer can be used to deal with the product in a single pass or with several circulations to make the product better. The multi-stage (usually three-stage) inline mixer has three sets of stator/rotor systems to enhance its shearing performance. This design dramatically reduce processing time, and in some cases only one pass through the mixer can lead to satisfied products. 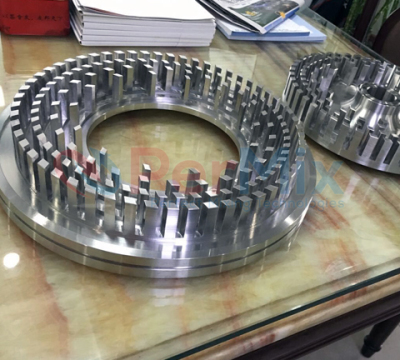 Depending on the materials to be processed and customer requirements, for each stator/rotor, there can be only one row, or multi-row of teeth. Besides, PerMix provides coarse, medium and fine teeth to achieve different shearing intensity. 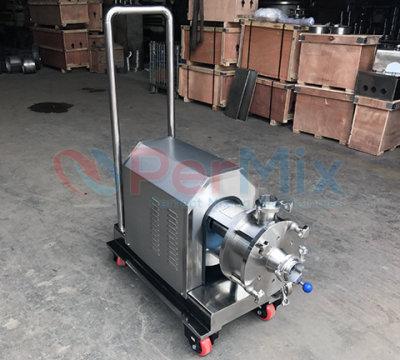 PerMix designs the ultra-high speed inline mixer with the tip speed of about 40m/s. The ultra-high speed inline mixer is belt driven to increase the rotation speed of the rotor up to 13,000rpm (Model: PC-1/60, pilot size). The thermosiphon tank is used to store and cool the buffer liquid for the double mechanical seals, operated as a closed circuit. It is able to compensate the leakage of the buffer liquid at the double mechanical seals to avoid drying running of the seals, thus improve the performance and duty life of the seals. The buffer liquid flows to the thermosiphon tank from the double mechanical seals with the principle of Thermosiphon Effect (or by forced circulation), and returns to the seals being exchanged and cooled. The thermosiphon tank is built in SS304 or SS316L, with pressure gauge, sight glass, all necessary connection nozzles and brackets for easy installation. The tank can be built with or without cooling coil with the purpose to cool the buffer liquid by cooling water. 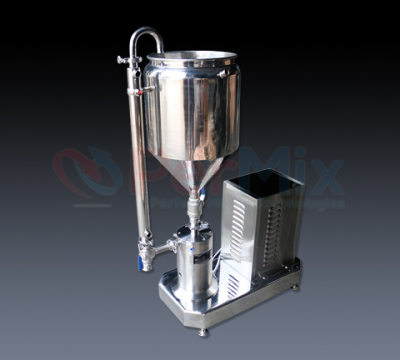 Inline Emulsifier Mixers are widely used by a variety of industries in different stages of the processing. They are highly efficient to save a lot of energy and time compared with traditional mixing methods.